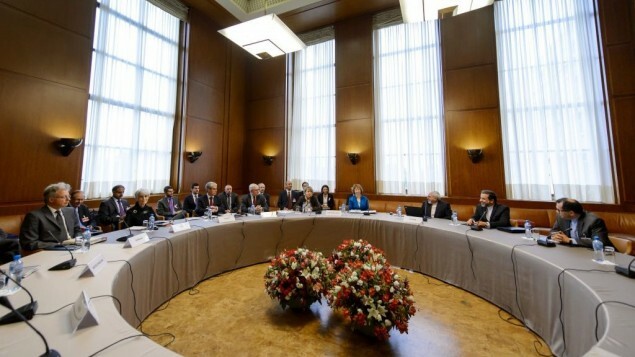 “Iran Two Weeks Away From Weapons-Grade Uranium”: Former IAEA Senior Official. “Iran could produce enough weapons-grade uranium to build an atomic weapon within two weeks and has, “in a certain way,” already reached the point of no return in its nuclear program, a former senior International Atomic Energy Association official said Monday,” reports the Times of Israel. “I believe that if certain arrangements are done, it could even go down to two weeks. So there are a lot of concerns out there that Iran can hopefully now address, in this new phase, both at the P5+1 [talks between Tehran and six world powers] and with the IAEA,” former IAEA deputy director Olli Heinonen said, confirming a report released last week by the Washington-based Institute for Science and International Security, which stated Iran could muster enough uranium for a bomb by converting all of its 20-percent enriched stockpile within 1 to 1.6 months. In his assessment, which appears to concur with that of Prime Minister Benjamin Netanyahu, a critical level is reached when the Iranians have enriched enough uranium to weapons grade, in the form of hexafluoride gas enrichment, to create a nuclear bomb. “But you still don’t have a nuclear weapon,” Heinonen added. Preparing the highly enriched uranium for a nuclear bomb would take another month or two, “assuming that someone has all the knowledge.” After that, assembling an actual nuclear weapon that can be delivered with a ballistic missile would take perhaps another year, he said. Iran continues to install hundreds of new advanced centrifuges every month, drastically reducing the so-called breakout time it would require in order to produce weapons-grade uranium if it decided to do so, he said.